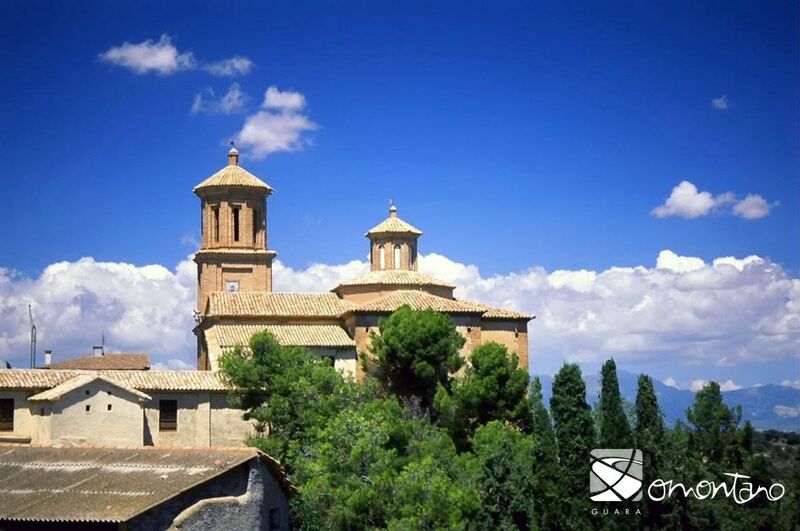 The parish church of Barbuñales is dedicated to San Lorenzo and was constructed in the 17th century. The Baroque building has a Latin cross layout with a domed roof, which is decorated with bow-shaped plasterwork. The dome stands on four pendentives and reveals the image of a grill as this is the widely recognised symbol of San Lorenzo. This unusual image is used as legend says that San Lorenzo was burned or “roasted” to death. In 17th century Aragon went through some of the worst times in its history; wars, drought, plagues of locust, failed harvests, famine, bandits and terrible epidemics of smallpox and plague. In the face of such hardship, poverty and death, the people of the 17th century seized religion as their only hope against desperation. This explains why, despite such poverty, many churches were built during this period. There is little on the austere exterior to indicate the rich decoration to be found on the inside. 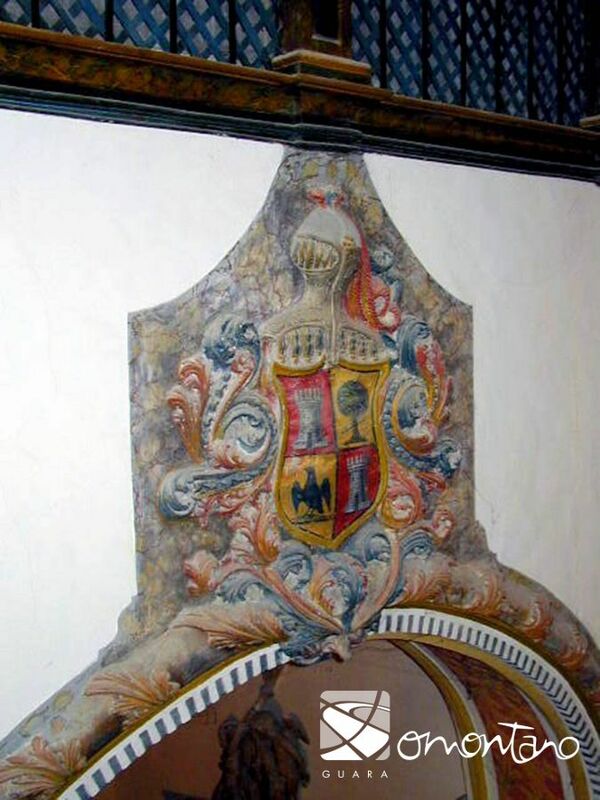 Abundant ornamentation disguises the poor quality of the materials used; brick and plaster. 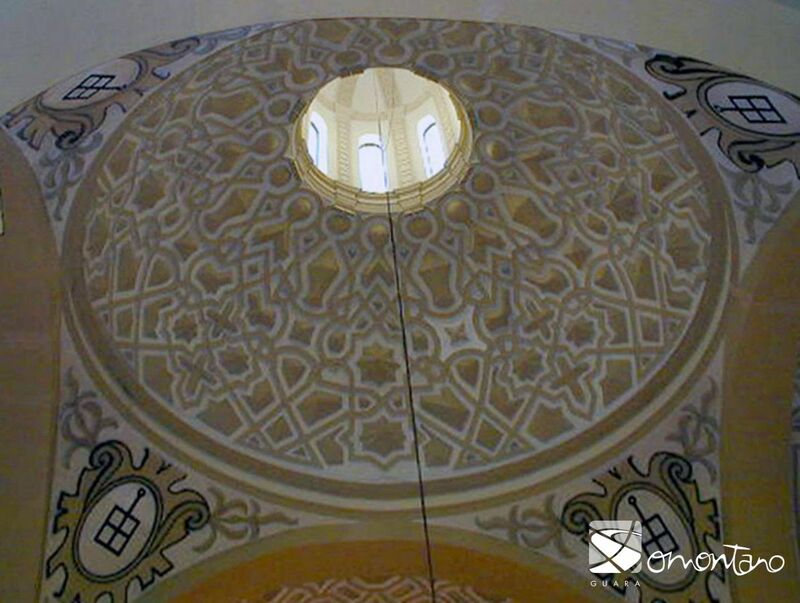 Geometric motifs in Mudejar style convert the church’s dome into the vault of heaven using a technique that was much easier to apply than it first appears. The basic design would have been sketched when the plaster panels were still wet. Simple shapes and lines were marked out, which were interwoven to present a geometric design and gently modelled to create relief. Later, the gaps were filled with stars and crosses made using moulds. 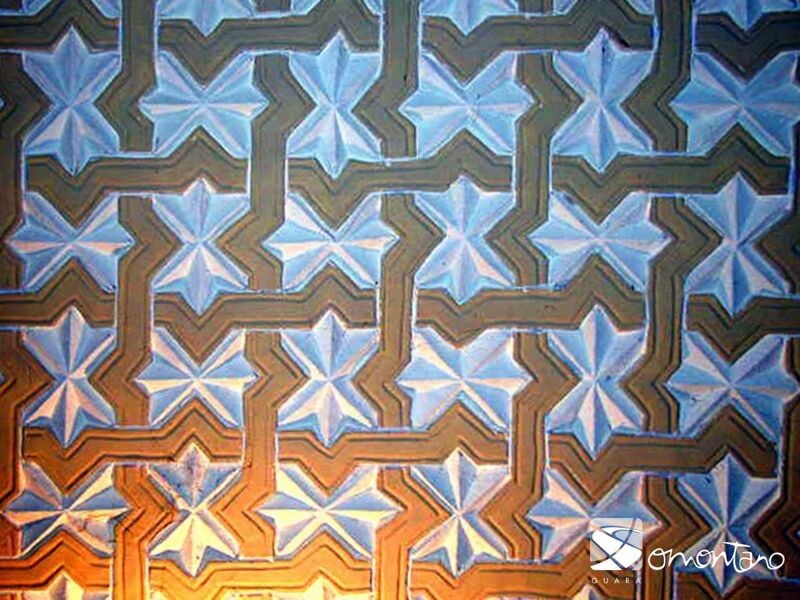 Decoration using plasterwork of this kind was an authentic ornamental fashion throughout the whole of Aragon in the 17th century. One of the chapels of the church was used as a mausoleum for the Azara family. They follow the liturgy for eternity from their high resting place in the gallery, which is covered with attractive wooden latticework. 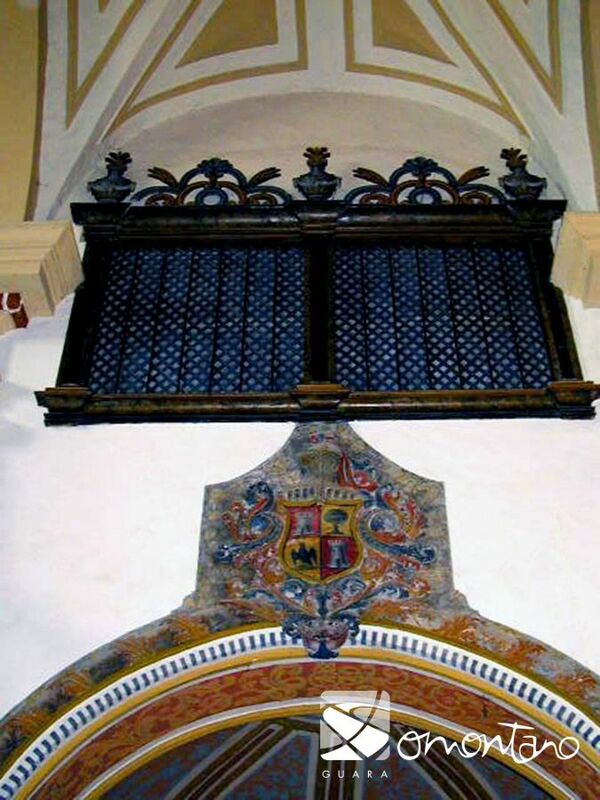 The remains of José Nicolás de Azara, first Marquis of Nibbiano, rest in the church.